OUT With Fear! 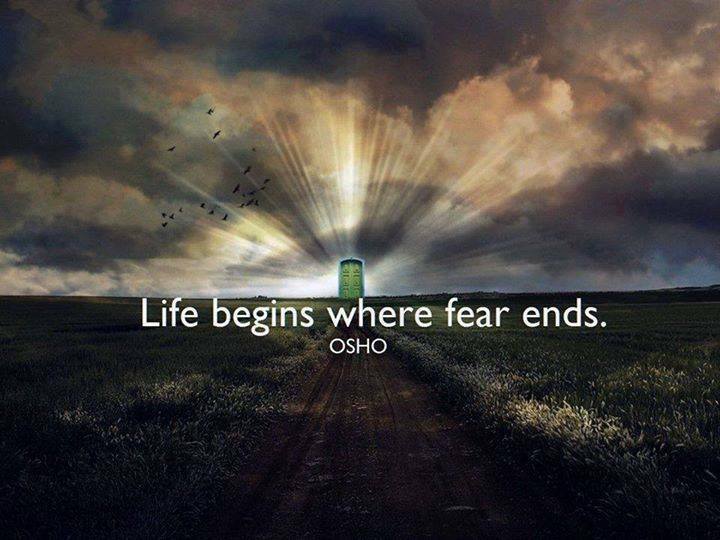 Lets Just Let ‘Fear’ Go! Fear is not a natural thing at all for us, but an invented, named, and imposed upon us thing. We learn it, and it only exists in this dimension. Because ‘they’ the English had a multitude of inventions including weapons, and had been trained religiously 😉 that “might is right” or what can be taken by force is your to keep, it only made sense to them that the ones who could not defend themselves from them were lesser beings. Not that they them selves were, because they sought to steal and harm. This is why they learned nothing from them! Learning from these wiser ones of us from warmer climes instead, would have occurred as an opportunity, as is the way of the Universe. And if they were naturally ‘on their path’ or knew what that was, they could have chosen this. History tells us they were in ignorance, and sought their own low-vibration, familiar, self-seeking-gain from stealing, and harming others. ‘Evil’ in its true definition, is ‘seeking benefit from intentional harm’. So we still have this ‘FEAR” baggage hanging around in 2014. Fear instilled from centuries-old warring and oppression, I mean really……do any of us believe there is another purpose to it at all, other than Army service as another ‘job’ and weaponry as another economic ‘market? We need to let go of all this very, very old, and boring? concept. This created-at-a-time-ignorance-ruled ‘fear’ idea from when we all still smoked and drank, then drove! Popularized by the jargon “kill or be killed” “steal of be stolen from”. Come on, do we want to still live in the dregs of that? 😉 We all know better now!